Haverhill Research Park is a high quality, large scale, research and office development park located within the Cambridge sub-region. Created on a sloping site with challenging soil conditions, the park required a considerable cut and fill operation to maximise its potential. 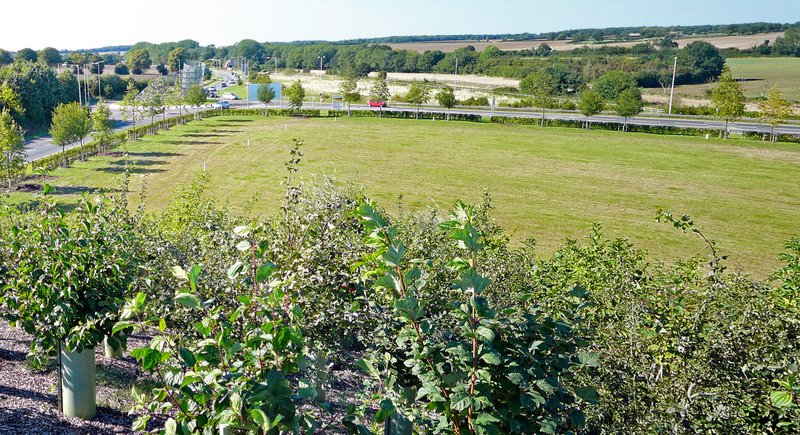 Indigo were integral to the successful masterplanning of the scheme; and were then responsible for detailing and overseeing the implementation of the hard and soft landscape infrastructure works in 2012 – 2013. This included the central lake, substantial areas of woodland planting and carefully selected semi-mature trees and hedges which provided an instant maturity to the Park. We are now working on the detailed design of the first development plot, an Innovation Centre, which overlooks the pond.